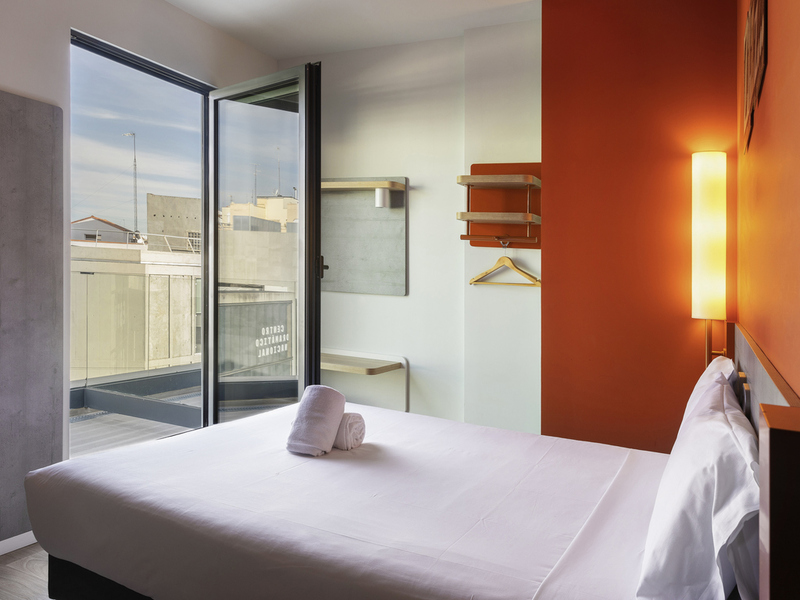 The ibis budget Madrid Centro Lavapies hotel is a modern and clean hotel with WIFI. All that at a great price, so you'll feel right at home. We are a 6-minute walk from the Reina Sofia museum and 16 minutes from both the Prado and Puerta del Sol. Whether you're traveling alone, with family or on a romantic getaway, we have the room for you: Single, Double or Superior with terrace! The hotel breakfast will blow you away. Calle de Valencia 8, 10.